When Jake Cordova, 20, was a high school senior in Las Vegas, the Fort Union Drive-In, where he worked part-time, threatened to close. Film studios were no longer supplying new 35-millimeter prints, and converting to digital projection was too expensive for the theater’s owners. But Jake wasn’t ready to give up on the local landmark. “If it wasn’t for the drive-in, there wouldn’t be nothing for the younger generation to do around here at all,” he says. So he did what any enterprising teenager would: He bought the whole joint. 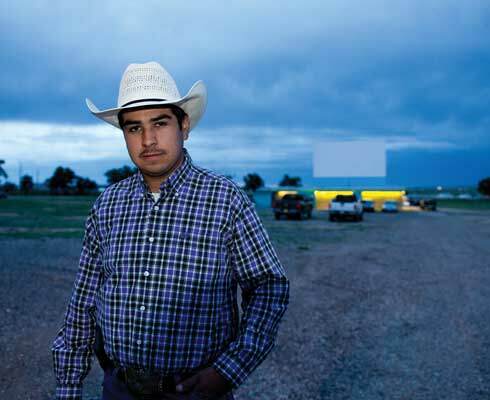 In 2014, Jake and his grandfather, Felipe Cordova, upgraded the Fort Union’s facilities and got the word out to the community that the beloved drive-in would once again be showing movies all summer.